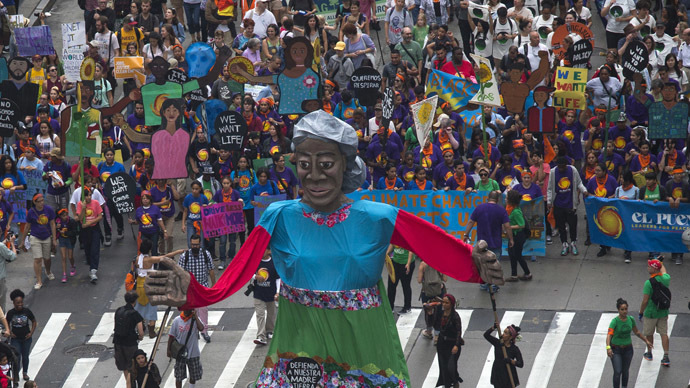 An unstoppable force — the September 21, 2014 NYC People’s Climate March — nearly half a million strong. Note: We now use the homepage and BCJN’s listservs to keep our members informed of recommended climate justice events and actions around the Bronx, New York City, and beyond. 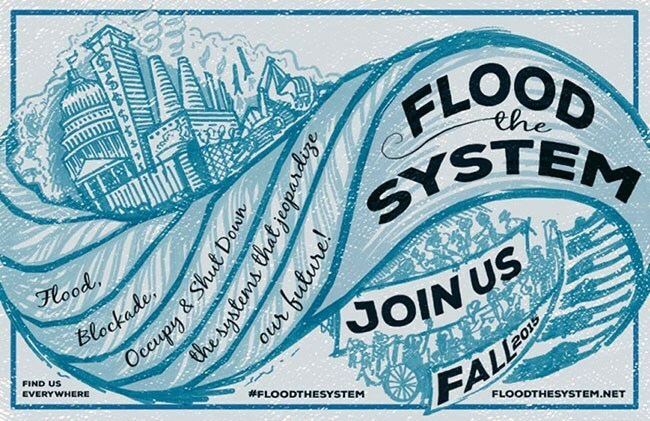 But we retain this page as a reminder of the astonishing creativity, beauty, and energy of our burgeoning movement, which has made great strides since the September 21, 2014 People’s Climate March! We hope everyone is finding a way to stay cool during this terrible heat. And speaking of heat, it’s time to focus in on our plans for turning up the heat this fall as we call for action on the climate crisis. In the past few weeks PCM-NY has been developing our action calendar for the next several months. We’ll be sending more details soon. To turn ideas into action we’ll need you’re help and the involvement of your group. One important step in this process is our next meeting …. Mark this meeting in your calendar and RSVP so we know you’ll be attending. We also want to call your attention to the standing committees of PCM-NY. These committees are all open to individuals and to representatives of groups around NYC. To learn more about any of these committees just click on the link below. We’ll get back to you within a few days and fill you in on meeting dates, etc. Don’t forget to RSVP for the August 31st meeting! I hope you can join us the evening of September 10th at the Brooklyn Academy of Music for an important event we’re calling Off and On. Naomi Klein, Rev. Lennox Yearwood of the Hip Hop Caucus, Eddie Bautista of the New York Environmental Justice Alliance, and a bunch of special guests will be coming together to lay out why this year could be such a dramatic turning point for our movement. We’re living through the hottest year in recorded history. We’re fighting pitched battles against tar sands oil, Australian coal mines, and Arctic drilling, not to mention fracking, pipelines, and the companies and portfolios that bankroll them. It’s a battle not just for climate sanity, but for climate justice. And at the same time we’re living through the year that will see the most renewable energy ever installed. There’s suddenly a chance for transformative change on a scale that just might matter. But that change requires breaking the power of the fossil fuel industry, and it involves all of us. This is our night to try and set an agenda for the Paris talks and the months beyond them. That crucial conference won’t actually solve our problems — but it is, however, a great moment to demonstrate the growing, global power of this movement. We can’t take this event everywhere across the planet, at least not live. Instead we’re going to record this evening in Brooklyn, and make sure it gets out as widely as is digitally possible. But there will be 2000 of us in the room that night, and I’m very hopeful you’ll be one of them. Tickets are available on a sliding scale, so you can pay what you can afford or think is right. But soon, please, because this will fill up. Join 350NYC and thousands of others concerned about climate justice at two important, back-to-back events on September 24, the eve of Pope Francis’s address to the UN General Assembly. Both events will be at Dag Hammarskjold Park, E. 47 St. between 1 Ave. and 2 Ave., and are open to all. Plans are still being finalized, and the times below are approximate. We’ll post details as they become available. • “Light the Way” – an interfaith religious/spiritual rally and vigil; 4:00-6:00pm (and continuing through the night). • “Under One Sky” – a secular rally in support of ambitious global efforts to tackle poverty, inequality, and climate change; starting at 6:30 or 7:00pm. First, people of faith will gather to “Light the Way” to Paris in December, and to show support for the Pope’s call for a re-visioning of how we treat not only the earth but also one another. The planning for this event is being led by GreenFaith, and it will feature song, prayer, and participants from many spiritual traditions. Right now this event is planned to start at about 4:00. It will continue with an all-night vigil at a nearby house of worship, and end with a symbolic procession taking a Light to the UN on the morning of September 25, when Pope Francis addresses the General Assembly. The second event on September 24 is called “Under One Sky.”Avaaz, Save the Children, The Global Poverty Project, and other broad-based social justice organizations are planning this event to increase public awareness, garner media attention, and mobilize here and around the world to push for ambitious plans to fight poverty, inequality, and climate change. This will start after the “Light the Way” event – probably around 6:30 or 7:00. 350NYC will have a strong presence at both events – join us! 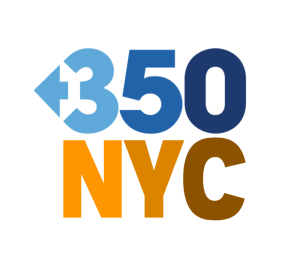 Join our 350NYC co-conspirators at their ongoing meetings at the NY Society for Ethical Culture (2 W. 64th St/Central Park West), every Wednesday evening, 7-9 pm. For details and a calendar of meetings, go HERE. NYCSEC, formerly the NYC Safe Energy Coalition, works on shutting down Indian Point, growing renewable energy industries, and making New York City buildings more efficient. For more info, please go to their Facebook page and website. 3) The 12th Annual Hunts Point Fish Parade and Summer Festival! The Fish Parade is a mile-long procession through the streets of Hunts Point featuring a caravan of marchers and colorful floats created by visual and performance artists from the South Bronx incorporating issues of environmental awareness and community advocacy. The parade begins at Hunts Point Riverside Park and culminates at Barretto Point Park at the block-long Hunts Point Summer Festival, featuring a main stage, live entertainment, info and activities by local groups. For details, go HERE and HERE. 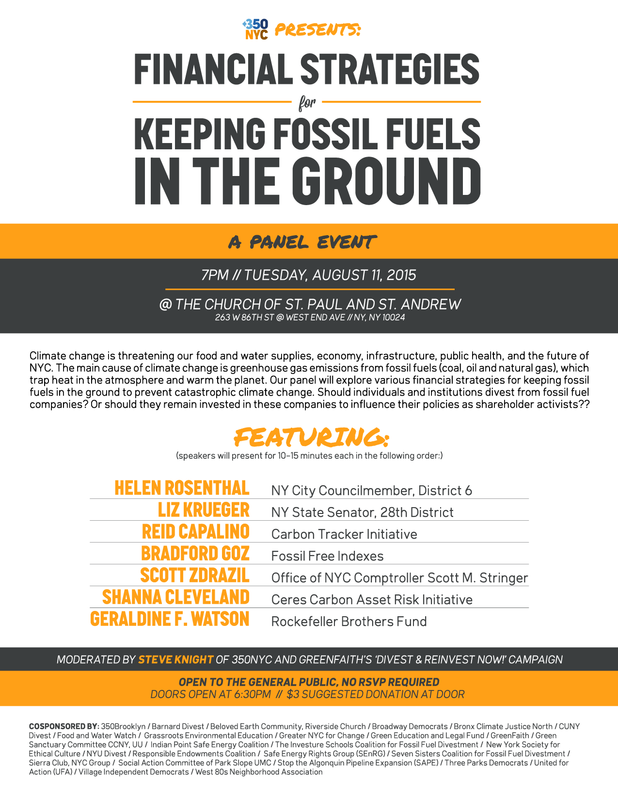 Bronx Climate Justice North is an active member of the NYC Grassroots Alliance, a coalition of environmental groups focused on replacing the use of fossil fuels, especially fracked shale gas, with wind, water, and solar power. Events range from screenings to panel discussions to rallies and eco fairs. The Alliance meets on the first Monday of each month. You can see the calendar and join the Meetup HERE. Newcomers are welcome! 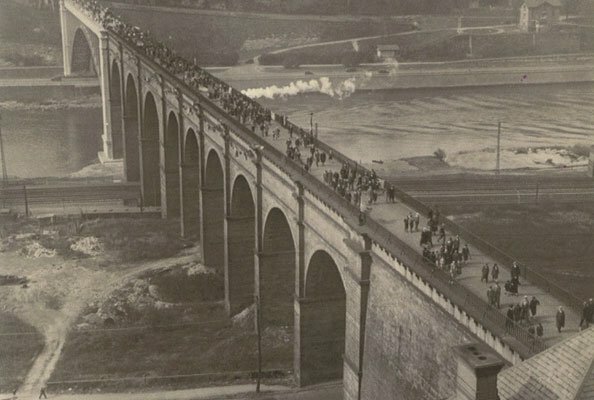 “Summer of the High Bridge” — Celebrate an Environmental Justice Victory for the Bronx — the Historic Re-opening of the High Bridge, NYC’s Oldest Standing Bridge! On Tuesday, June 9th, the beautiful High Bridge connecting the Bronx to Manhattan over the Harlem River will re-open after 40 years. See the 6/4/15 New York Times article, “A Stunning Link to New York’s Past Makes a Long-Awaited Return.” This is an environmental justice victory for South Bronx neighborhoods longing and fighting for community access to their heavily-industrialized waterfront. For details about the “Summer of the High Bridge” from the NYC Parks Department, go HERE. For details about the July 25 High Bridge Festival, go HERE. For a PBS video about the High Bridge, from its “The City Concealed” video series, go HERE. 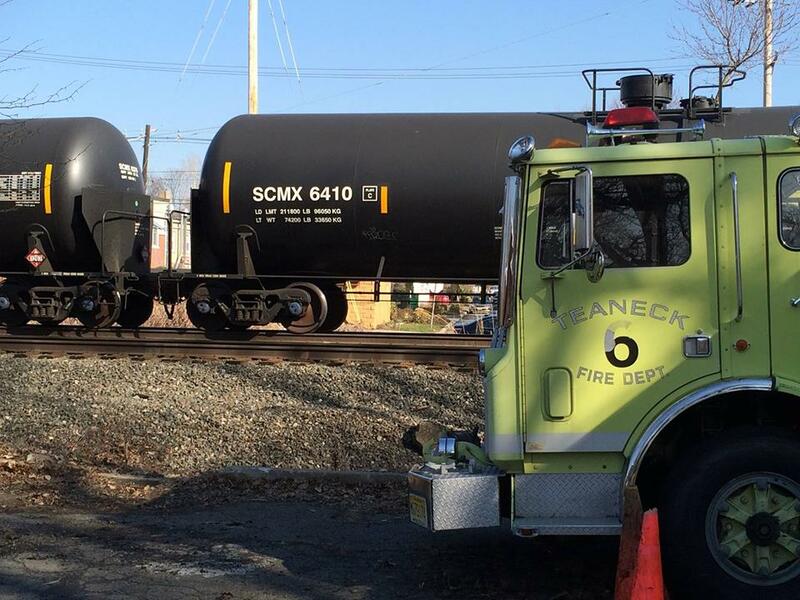 The Coalition to Ban Unsafe Oil Trains–a group of concerned citizens, civic groups, environmental organizations, educators, labor, faith groups, elected officials–invites you to walk 1.5 miles and rally in Teaneck to call for an immediate stop to the unsafe, accident-prone trains carrying Bakken crude oil through our communities. We’ll stop along the 1.5 mile Teaneck route to highlight the most vulnerable spots in the trains’ path: schools, a day care center, sports fields, senior center, and ambulance corps. And we’ll toast with a a glass of water as a pledge to protect our drinking waters supply and other waterways from toxic spills. People with all levels of abilities urged to join us — walkers, bikes, strollers, pets. We would all be impacted by an oil train accident. Electric cars and vans also encouraged to ride alongside and assist with folks who can’t walk the distance. The Bus for Progress will be there too!!! Danger Zone March is one of many “48 Hours to a Safe, Renewable Energy Future” actions across NJ to oppose local fossil free infrastructure projects that place profits over people; pollute our land, air and water; and contribute to climate change. BY RAIL, BARGE, OIL TANKER, OR PIPELINE, TRANSPORTING BAKKEN CRUDE IS DANGEROUS. Thursday, May 21, 4-5:30 pm, Australian Consulate, 150 E. 42nd St. The global climate movement is at a critical stage in the fight to stop the Galilee Basin mega coal mines that, if built, would cook the climate and trash the Great Barrier Reef. Join the 350.org/350NYC solidarity action in Manhattan to speak out against this alliance of big money and big coal which threatens our planet. Right now, Indian mining giant Adani is calling upon The Commonwealth Bank to help them finance the Abbot Point coal port in the Great Barrier Reef World Heritage Area, the first step in unlocking nine mega coal mines in Australia’s Galilee Basin. It’s time to step things up and put CommBank’s reputation on the line — either they heed our call and publicly rule out their involvement OR they face a creative & unrelenting campaign. Other banks have already rejected this project – CommBank must do the same. Join with thousands, taking part in hundreds of actions at dozens of branches around the country and the world as we Raise the Heat on CommBank from 19-23 May! Wednesday, May 20 — Sunday, May 31st, Washington, D.C. 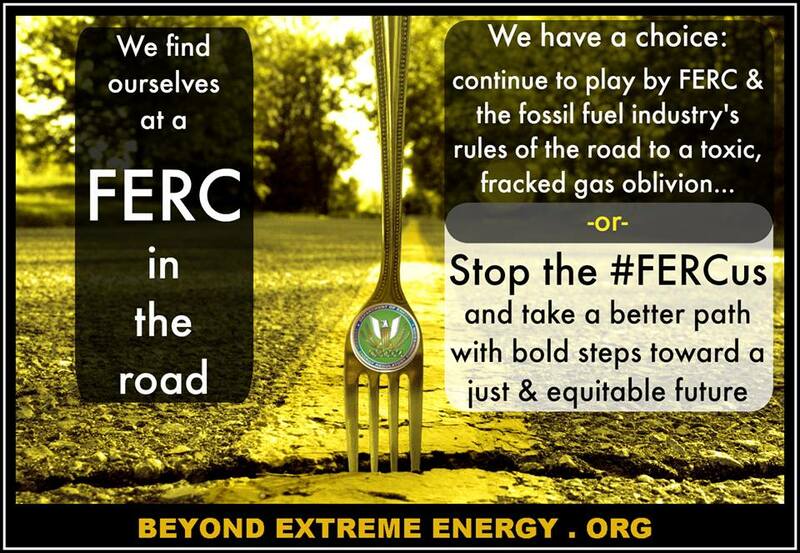 Beyond Extreme Energy has sounded a new Call to Action. From May 21-29, 2015, BXE is heading back to the FERC building on First Street in Washington. We must intensify our nonviolent campaign, now, while the oil and gas industry is reeling from the massive drop in fuel prices worldwide. Business as usual is unacceptable. We must step up to block the tsunami of new fracked-gas infrastructure that is overwhelming communities across the nation. Join three days of discussion and action, on the eve of the 2015 Nuclear Non-Proliferation Treaty Review Conference at the UN, linking the peace, anti-nuclear, and climate and environmental justice movements. 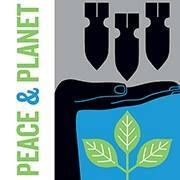 This NYC-based event, but with parallel events around the world this weekend, is organized by representatives from dozens of U.S. and international peace, anti-nuclear, and environmental organizations. Read the Call to Action, sign and share the Petition for the Total Elimination of Nuclear Weapons, and support the Nuclear Zero lawsuits of the Marshall Islands. Take Part! — in conference plenaries and workshops on Friday and Saturday, April 24-25, then join Sunday’s rally, march, and festival, April 26. Find Peace & Planet on Facebook. 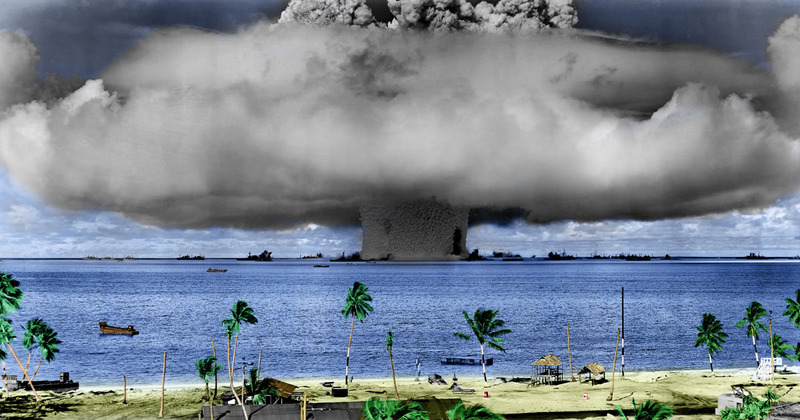 Between 1946 and 1958, the United States detonated 67 nuclear bombs over the Marshall Islands. Thursday, April 9, 6:30-9:30 pm, 239 Thompson St. These are the amazing artists and activists who mobilized during the lead-up to the People’s Climate March and who are settling in permanently to provide NYC with outstanding artistic support for the climate justice movement. Tree Planting in Honor or Morgan Powell Along the Bronx River, with Bronx River Alliance and others. Saturday, April 11, 9 am, Burke Bridge and Bronx Park East. 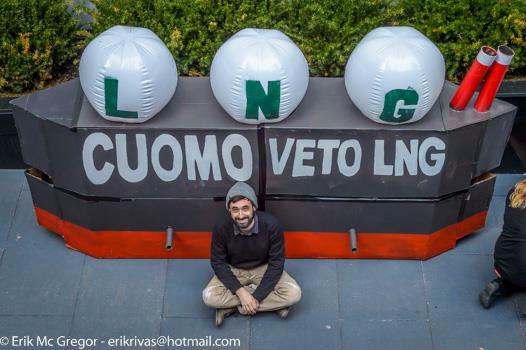 Take Our Message Straight to Cuomo: VETO PORT AMBROSE!, with Sane Energy Project and others. Monday, April 13, 11:15-1 pm, Harvard Club, 35 W. 44th St.
It’s Now or Never! Join Rising Tide NYC to Plan April Actions Against the Fossil Fuel Industry! 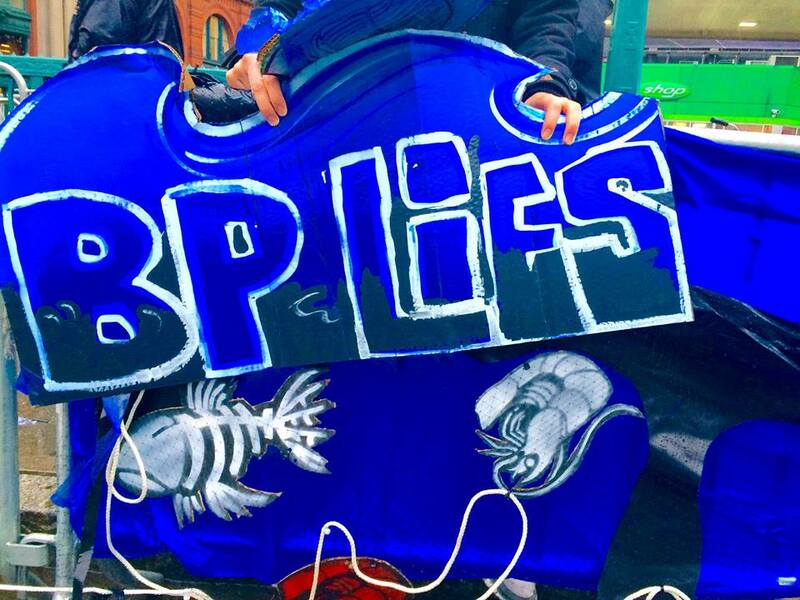 Monday, April 13, 6:45-9 pm, Workers United 33, W. 14th St.
4/20, 8 am — The people of NYC move in solidarity with inhabitants and communities of the Gulf Coast, still suffering 5 years after the catastrophic BP oil spill. Wear white to join the 8 am Second Line in Manhattan. 4/21, 5 pm — New Yorkers gather to demand that Governor Andrew Cuomo commit to renewable wind power off the coast of Long Island instead of fracked gas infrastructure with the Port Ambrose project. 633 Third Avenue, Manhattan. 4/22 — The Rising Tide will surge with the workers, the poor, and communities of color who continue to suffer most from ecocidal fossil fuels. We will rise together on Earth Day to celebrate and support resilient communities and real economic solutions. FIGHT FOR $15 ON 4/15! Wednesday, April 15, 4 pm Rally followed by 6 pm March, gather at 63rd/Central Park West, near Columbus Circle. Details on Facebook. Further details at the Fight for $15 website. Fight for $15 is a nationwide campaign to demand a $15 minimum wage and bring attention to the unfair conditions imposed on working families. 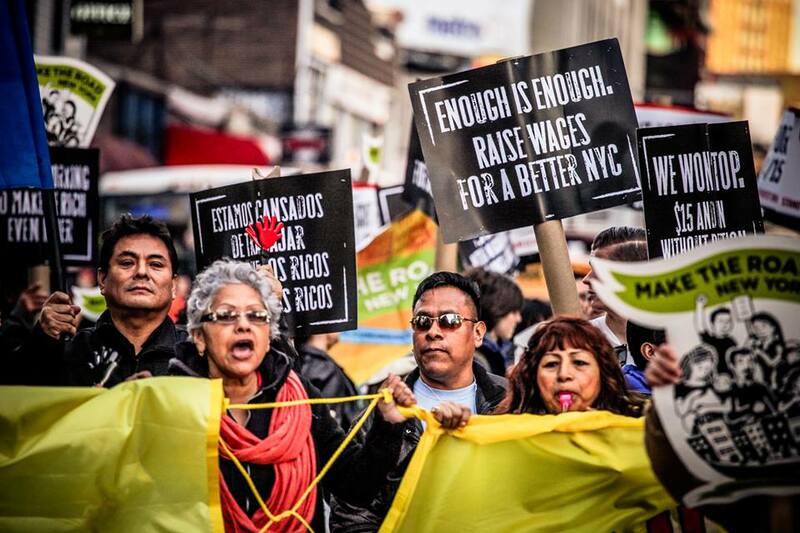 Fight for $15 is hosting this major action in NYC as part of a national day of action in cities across the country. South Bronx Environmental Justice Waterfront Bike Tour and Tree Giveaway (1:30-3:30), organized by South Bronx Unite, Friends of Brook Park and others. Sunday, April 19, 11-1:30 pm. Meet at Brook Park, E. 141st St and Brook Avenue. South Bronx vs FreshDirect Back in Court! Monday, April 20, 8:30 am Press Conference, 9:00 Enter court.